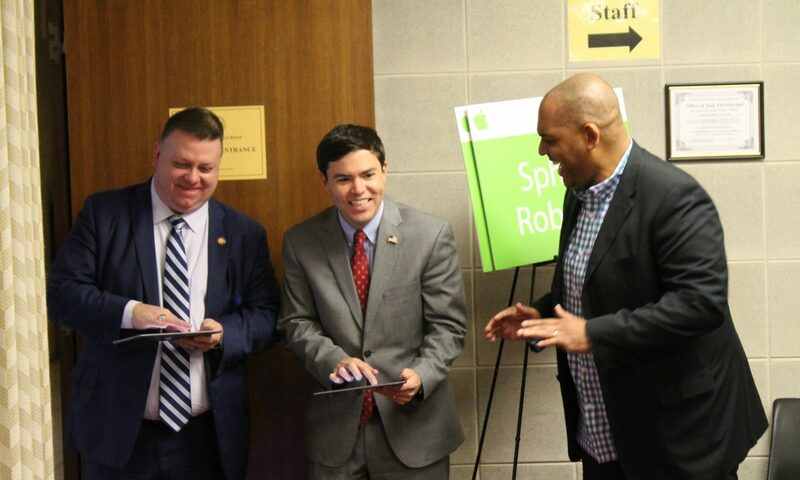 Raleigh, N.C. – North Carolina House Representative Jason Saine (R-Lincoln) joined state Superintendent Mark Johnson at a technology event in the General Assembly this week to encourage K-12 public school instruction in computer coding and robotics. 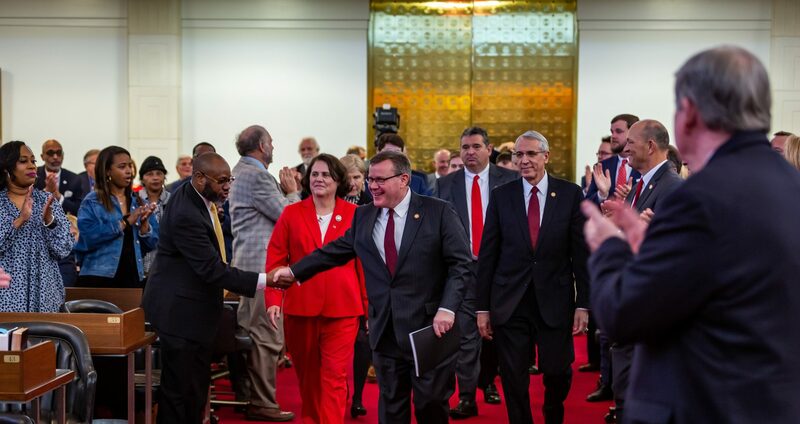 Rep. Saine is Chairman of the House Appropriations Committee on Information Technology and hosted the seminar so legislators and staff could receive instruction from experts. Superintendent Mark Johnson said the event reminded legislators and staff of technology’s importance for students to be successful in the future. 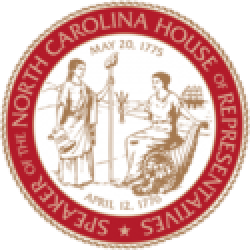 “North Carolina will be the first state in the country with every school connected to the Internet. Along with a robust digital learning plan being implemented across the state we have a unique opportunity to prepare the workforce of the new economy. “There are over 17,000 unfilled jobs in North Carolina that require coding, and with only 1200 students set to graduate this year with that training we have a lot of work to do to bridge that gap.